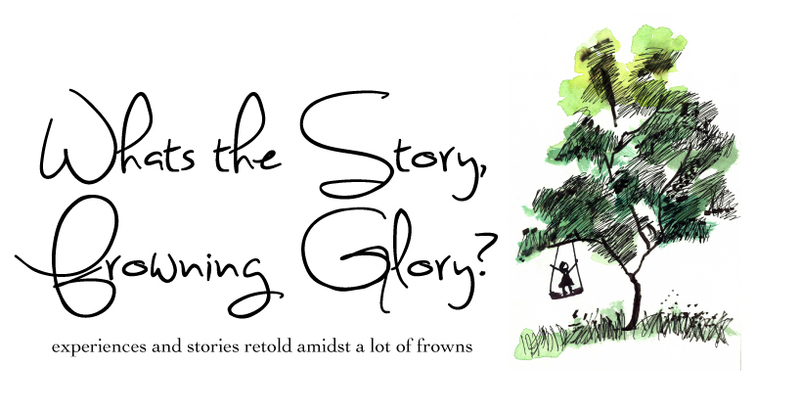 Whats the Story, Frowning Glory? Blog: My my, it's been a while since we saw you here. Me: * eeeeepssss * Sorry?! You know, life and all that. I'm welcoming myself back to the blog. Feels great to be back to some writing, some blogging and lots of thinking! Turning a year older last month, made me wonder about oh-so-much in life and it's beauty. It made me appreciate a lot of things, take account and ponder upon priorities, choices, decisions and fate. This post is a gentle reminder that I need to write more, do and make more and live more. Blog: Don't run away, you! My cousin P, once told me that one should have as many good friends as the number of fingers on your hands. For the longest time I laughed over that statement, convincing myself that one day I would have a huge gang of friends and life would be all rosy and a fun road trip (as depicted in trashy Bollywood movies and over-the-top Hollywood chick flicks). I yearned for that so much and to my surprise, in the 25 years of my life, that didn't happen and well I couldn't be happier. Over the years, I've made some wonderful friends, some who've stayed and some who've drifted apart. A lot of this has got to do with the fact that I've moved a lot and my friends circle was ever changing. But it's a nice, warm fuzzy feeling when you see friends from 'way back then' to still have been in touch. I think if I had to sit and write down the names of friends I've had in the years gone by, I may actually be able to so (accompanied by a long ream of paper). It's comforting when you know you have friends and you also to know who are your friends. It's nice to go through the process of making new friends, getting to know them better and then knowing whether they really are your friends or not. Friendship is tricky yet simple. It can make or break everything. But it's equally difficult to let go of friends and/or friendship. Deep down inside I still feel really bad when I think of people who I thought were friends but it didn't work out. That hits really hard! Maybe its a phase-of-life thing. It's equally difficult to start making new friends...something I think we have to do all our lives, but guess it has to be done. Having said that, I'm pretty sure I'm going to have less friends and more fingers, but that certainly works! I'm ever so grateful to the wonderful ones I have now, I've had in the past and those that I will have in the future...looking forward to seeing you. Someone else mentioned that same belief as cousin P...looks like it works for everyone! Courage is playing that tune associated with the wildest of memories. It is facing the dark, when there is enough light around. It is to looking deep within and still be able to look beyond. Courage is in being hopeful and in hoping, it is in enjoying the burnt dinner, in being honest. Courage is wanting to not wanting, in making things matter, in accepting, in laughing, and in admiring. Courage is being yourself. ...it'll make for interesting anecdotes in the very least." It is not often that one gets comfort in words. I've always felt that words comfort, but only to a certain extent. It never sounds believable or convincing enough. To this day I haven't felt as lucky as I did when I read what a former mentor of mine wrote to me recently. Every once in while, there comes a time when you feel SO crappy, that you want to bury your head in the ground and never surface. That's what I've been feeling (and doing) for quite a while. But its nice to know that decisions that you make actually may alter things, make a difference and may make life completely different from what was ever imagined (in a good manner). Having someone who not just believes in you but also encourages you is extremely important. What's more important is that someone tells you that its ok to do what you want to do. Probably one of the only few persons who said something nice and encouraging when I made certain (current) decisions. I'm looking forward to peeking around corners the most, atleast I'll have something to write about! Thank you so much, K! PS: I'm soon going to start a poster series titled 'Words of Encouragement". Watch this space for more! Want to bury my face (in a hat here) and never surface! As part of my life-is-so-miserable-but-I'm-still-going-to-try series, I have my first entry that opposes the same. Ok, maybe it's the first step towards. In no manner is this post to be taken as whining or complaining or cribbing. It's just me, talking, being realistic. Ever since I was 13, I had this one goal, this one dream. I have no idea how the seed was plotted in my head, but that became my only aim in life. Even if I didn't express it explicitly, deep down, I sort of knew what I wanted. And I worked towards it, if not giving it all my time and effort, at least some of it did go into that. Cut to age 22. With hard work, perseverance and with some good luck, the dream did come true. The journey was difficult, something that I questioned at many points, but somehow I didn't give up. It felt good. Sweet. I enjoyed every bit. Till I turned 25. You see, the dream had now been fulfilled and it was well, practically over. Needless to say, I had not really imagined the same, the beyond and the after. From 13-25 I had not once thought that there will be a time when I'd have to think of a future, a something. * Wish I had been better prepared* It's equally difficult to explain this to anyone or expect someone to understand. It's something one experiences I guess. 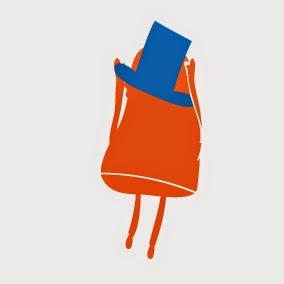 I'm now at this point (and I say it very objectively) where I don't know how to dream or what to dream. It's scary and gives me chills, but I'm hopeful. Something will trigger a goal or a dream soon, and I'm eagerly waiting for it. It's not to say that I didn't enjoy the journey or the dream. Both were lovely. Made me a stronger, better person. Perhaps its time to get up, smell the coffee and look around. I'd also like to thank the three students who didn't take up the offer and I got the chance. Secretly, the universe does let you get what you want. For the longest time I didn't know that there was a space in MM's name. Perhaps it never came up, in written or in oral form. We've been the craziest and the coolest pair of friends (or so I'd like to believe) for the past three years and a two figured month . It doesn't take me by surprise as to why though. MM has got to be the kindest and calmest person I've met in quite a while. There's a certain aura around and a very interesting character around MM. An excellent support system, a horrible critique, a huge risk taker, a constant teaser, easy-to-make-fun-of, madly talented, the most humble person I've ever met, and not to forget one who can always be trusted. We've seen each other through the good, the bad, the ugly and the crazy and secretly we know that we're there for each other. So while you wonder why I didn't know there was a space in MM's name, its only because it never mattered and thats what true friendship is all about. When recent conversation with a friend about 'milk drinking' came up, there was a sudden smile that crept on my face. And suddenly I was taken back to the milk-drinking days! You see, I've hated milk all my life, atleast of whatever I've lived/remember. Somehow, milk never brought any joy to my and D's face. Never. We were forced to drink it. And D like the good kid, always did. I'd make a face, try and escape it, make faces like I'm going to vomit, I'm choking, like the milk was bad. It never worked. M knew me really well. There was this one time, when I distinctly remember grinning ear to ear one morning before heading to school, crossing M and announcing that I'd finished the milk. I'm sure M was trying to figure out what was really the matter. My face would never light up when I drank milk. Or even otherwise (I was/am a super sulky kid) The next morning, I tiptoed towards the kitchen with that milk cup and ....... caught me pouring milk down the kitchen drain!! Oh! The look on my face is probably etched in M's memory! What followed was a moral lecture and that did work, I never wasted milk, or food for that matter. We were clever though, I mean, if we couldn't throw it, ofcourse we could leave it behind on the breakfast table stating the fact that we were getting late and the school bus would leave us and we'll have to ask M to drop us.... D and I did it once (teamwork fist bump), M figured that this was a trick. So one day, when we tried it and ran to catch the bus, M put her game face on and made the bhaiya stop the bus, as it was leaving the colony premises, present it to us on the tray, and had us drink the milk, while all the other children cheered for us. Needless to say, M was the hero and this was a story that went down in family history. Guests till date are entertained with this story. But ofcourse, we ensured that we left home drinking milk after that eventful (and embarrassing) day. The day I finished my last of school, the one when you give the last exam, scream out loud that school was over and you'd grown up, was the day I drank my last cup/glass of milk. I mean, I was almost- in college, and milk, was for kids anyway. Pretty sure that I'll never forget that day. Ofcourse I do drink milk now in the odd forms of milkshakes, with cornflakes and as a remedy to a sore throat, but that association of milk has gone. Now we're mature milk drinkers. Or so I tell myself that. Uggh milk! I cannot boast to be a good writer, but I like to pen (blog) down my feelings and experiences that are personal and those that change me and affect me deeply. Its 'for me', selfishly I say.